Matt Ryan may have lost Tony Gonzalez to retirement, but he will get a healthy Steven Jackson, Julio Jones and Roddy White back! 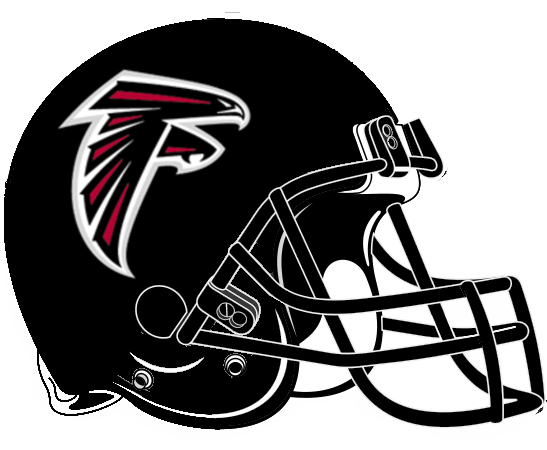 Sure the Atlanta Falcons face some stiff competition in the NFC South with the New Orleans Saints and Carolina Panthers (sorry Buccaneers fans), but when this offense is healthy, there is no stopping them! Be sure to read our Julio Jones Effect on Matt Ryan post! The Falcons are going to rely on the pass attack, and Ryan will most likely see 600+ attempts again in 2014. It's hard to believe, but Ryan still managed to throw for over 4,500 yards and 26 TDs with an injury plagued roster, while completing 67% of his passes. Jackson, Jones and White are healthy, so you an expect the TD total to climb back up to the 30 range. Equal value in all league formats. We ranked him 8th in our QB rankings. Who Would You Rather Have - Nick Foles or Matt Ryans? Jackson played in just 12 games for the Falcons (hamstring), after missing just 2 games over the past 4 seasons with the St. Louis Rams. He did rush for 6 TDs (added 1 receiving TD) in limited action, but it was the first time since his rookie season that he failed to gain 1,000 rushing yards. If healthy, we know what to expect. The Falcons added Devonta Freeman in the NFL Draft and also have Jacquizz Rodgers who will both take away snaps from SJax. More valuable in Non-PPR leagues. We ranked him 25th in our RB rankings. It is important to remember that Jones missed time last season due to a broken screw in his foot. Do not let that stop you from drafting him! He had 41 catches in 5 games last season on 60 targets. According to our Yahoo ADP Mock Draft, he is an early 2nd round pick in most 12 team leagues. Equal value in all league formats. We ranked him 4th in our WR rankings. White was also injured last season, playing with high ankle sprains. He hurt us fantasy owners because he played every game and it's very difficult to sit White on the bench. He caught nearly 40% of his season total yards in just 2 games in December when he had two double-digit reception, 140+ yard games. Actually, he had over 500 yards receiving in December and caught 2 of his 3 TDs in the final two weeks. This season, a healthy White is going to payoff for the owner who drafts him. Equal value in all league formats. We ranked him 19th in our WR rankings. Douglas did a great job filling in for the Falcons injured receivers last season, catching 85 passes for over 1,000 yards. However, he caught just 2 TDs. With Gonzalez gone, the targets will still be there for Douglas. More valuable in PPR leagues. We did not rank him in our WR rankings.